February 15, 2011 by © Joan Miller - Luxegen Genealogy. The Genealogy Gems Podcast at the Roostech 2011 Conference in Salt Lake City. Lisa Louise Cooke recently released two new products for the Genealogist. 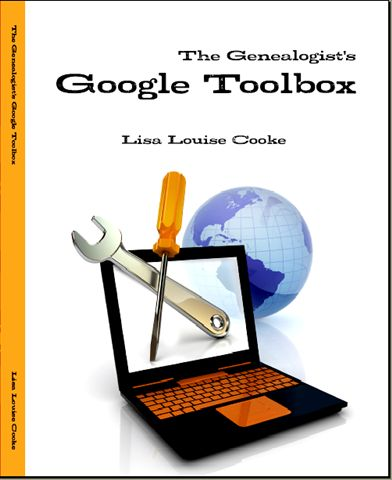 The Genealogist’s Google Toolbar – a 202 page guide packed full of helpful hints for finding one’s ancestors. Lisa hopes this guide will become a “well loved dog eared reference book” that sits next to your computer. Google Alerts – your personal genealogy research assistant (I use this feature every day to find mentions of my ancestor’s surnames). This book shows you how to set this up. Lisa is a ‘detail’ gal and it shows as she anticipates the inevitable questions in a well organized format. I like how she includes “Keys to Success” and Quick Tips. There are links to videos for further guidance. This is a practical guide for the genealogist and I recommend it for my readers. 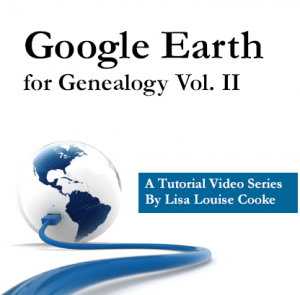 Google Earth for Genealogy Volume II - this volume expands on the concepts covered in Volume I and includes the following sections. I haven’t had an opportunity to explore this product in great depth yet but a quick overview has me wanting to dive in. Lisa’s first DVD was a useful reference guide and it looks like Volume II will be too. Be sure to watch the video above! 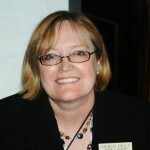 Lisa Louise Cooke is the owner of Genealogy Gems, a genealogy multi-media company. She is producer and host of the popular online family history audio show “The Genealogy Gems Podcast, as well as the monthly Family Tree Magazine Podcast. 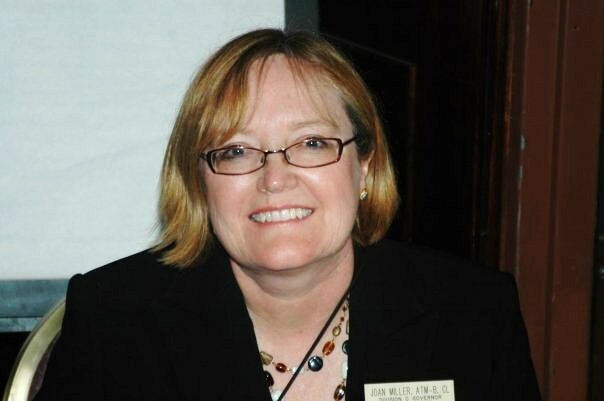 Her podcasts bring genealogy news, research strategies, expert interviews and inspiration to family historians in 75 countries around the world. Well done Joan!! Great sound and video quality!! Will we be seeing you publishing more videos in the future? Thanks! Lisa is such an easy and warm person to interview. It also helps to have a PRO videographer/sound man provided by the Rootstech people. I don’t think my little FLIP camera would have done this well. Never underestimate the power of the FLIP! Just kidding. Well done, Joan! This was a fun interview to watch. I may just have to order Lisa’s book. A pleasant and informative interview to watch. Good clear sound with emphasis on Lisa. Great questions asked to direct flow and rate. This may just get me started in finding my roots. Thanks Joan and Lisa. Well done! Thanks Dawn! It is a useful book. My Mom, the non genealogist, htought she might like a copy too. Thanks for the comments! As a fellow Toastmaster I appreciate your feedback.